The Broadcasting Authority of Ireland has said broadcasters do not have to maintain absolute mathematical equality in terms of opposing sides during referendum coverage as long as a broadcast is fair, objective, and impartial. At a briefing today on its guidelines on referendum coverage the BAI said that fairness objectivity and impartiality can be achieved by including interests from both sides of the debate. There is no obligation to automatically balance each contribution with an opposing contribution as fairness can be achieved in a number of ways including presenter input, the make up of audience, the structure of the programme as well as other means, the BAI said. There is no requirement for absolute 50/50 coverage in a broadcast as long as fairness and objectivity is maintained. The BAI encourages broadcasters to focus on the issues rather than a "mathematical allocation of airtime". Broadcasters are also encouraged to use a mix of voices representing gender and cultural and social diversity. Accessibility for those with disabilities is also encouraged. Other issues covered in the guidelines include a prohibition on presenters encouraging a particular vote and on-air contribution via social media. 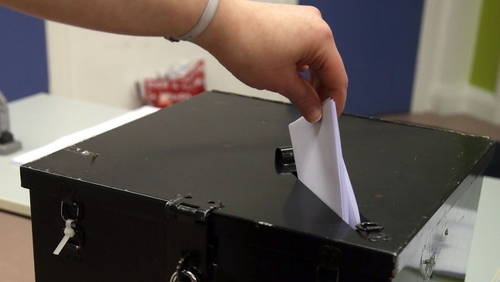 The guidelines come into effect six-eight weeks in advance of a referendum date. A moratorium will operate from 2pm the day before polling closes. BAI Chief Executive Michael O'Keeffe also said if an individual involved with a campaign is on another non-political programme, the referendum guidelines do not automatically apply unless the person makes specific reference to the referendum.